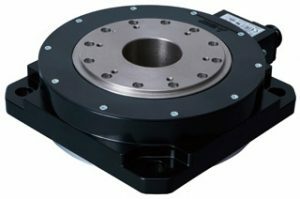 Mitsubishi Electric Automation introduced its TM-RG2M and TM-RU2M low-profile direct drive motors designed for applications typically suited for rotary servo motors. These low-profile direct drive motors are coupled directly to a load, resulting in greater positioning accuracy, reduced energy use and less maintenance, all while delivering reduced installation space. They are ideal for use in industries such as semiconductor / LCD manufacturing, machine tool, material handling and inspection. They support two installation methods: flange type with pilot and table type with positioning pinholes.